REIDsteel Car Parks can be found all over the World. 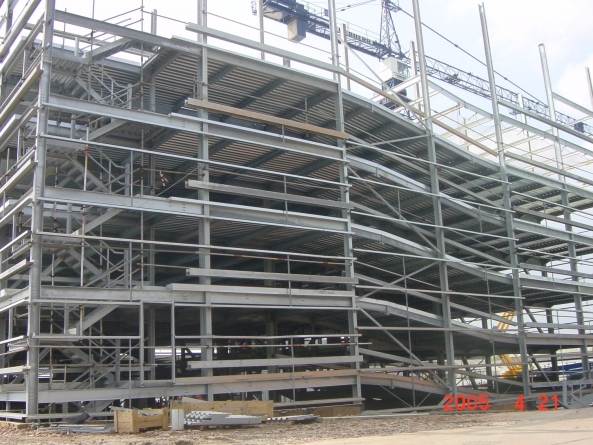 REIDsteel have been making all kinds of steel structures since the 1920s and there are constantly projects on the drawing board. 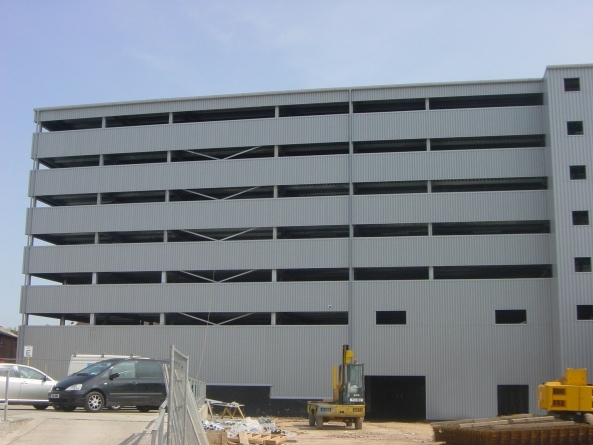 A REIDsteel multi storey car park is the perfect solution where space is limited and a safe, clean environment is needed for new and pre-owned vehicles as well as cars awaiting repair. Car dealerships are best if they are in a busy, visible place. Such a place has to be easy to access, and to park, for potential customers. There must be plenty of space for car transporters to come and offload. These requirements cause many problems. The busy, visible space is much sought after, and so expensive. The access and parking takes up a lot of space and has to be stylish and smooth. The space for transporters is often very difficult in the busy visible location. The showrooms must be clear and uncluttered and open to view from the traffic, not hidden in a car park or a truck unloading zone. Not only this, but there is a need to place and store and access cars. A cost effective delivery may be eight cars at a time. There may need to be a stock of 50 cars to be able to offer a choice of models and finishes. A good dealer will offer services and repairs, and will need space for storing cars that are brought in, that are under repair, and that are awaiting pick up. 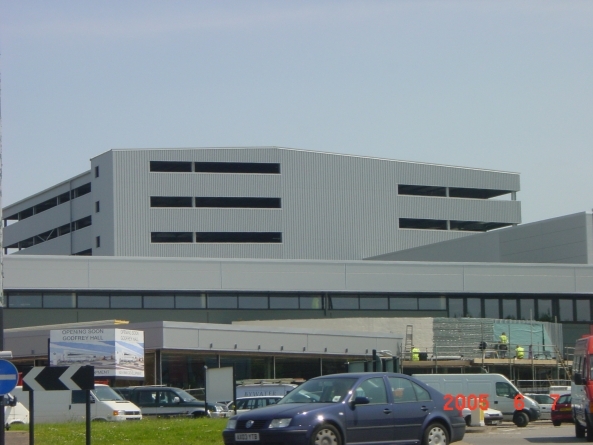 Many dealers achieve some of these objectives by having their workshops out of the way on an industrial estate, giving difficulties and extra costs and wasting of time. 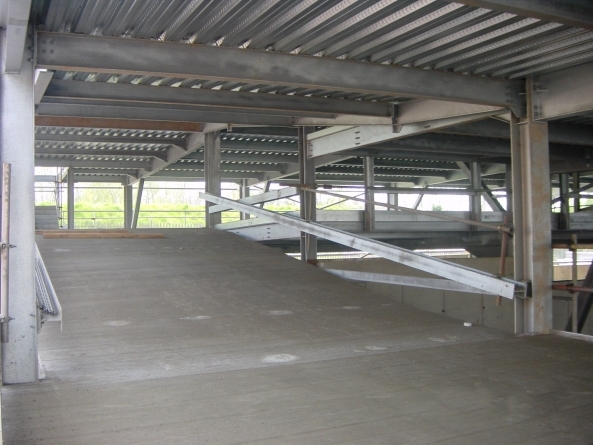 The best solution is a REIDsteel multi storey car park. 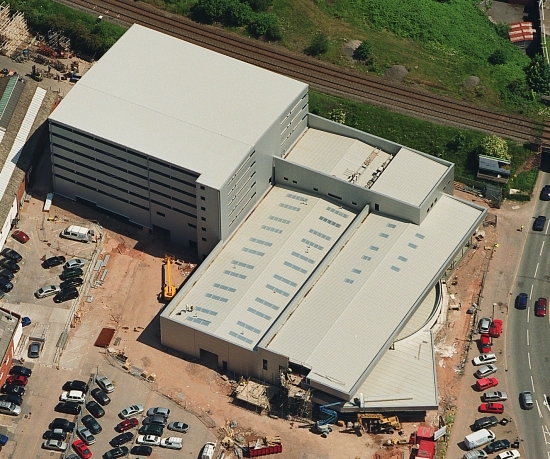 This one, for Capital Construction’s BMW dealership in Coventry, is typical, with twin decks of 6 storeys of car parking. 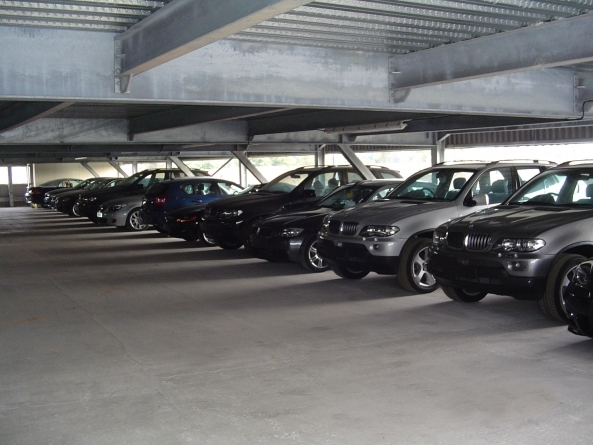 Designed to the normal public car park standard, new cars, sales stock, cars awaiting repair, cars awaiting pick up, all are stored in a safe clean environment, with a roof over (REIDsteel insist on having a roof over every car park). Problems solved, and a cost effective and efficient dealership can grow fruitfully.